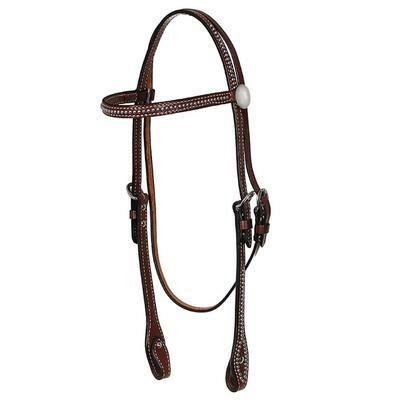 The 5/8" Leather is fully stitched and embellished with silver studs on the cheeks, browband and crown. 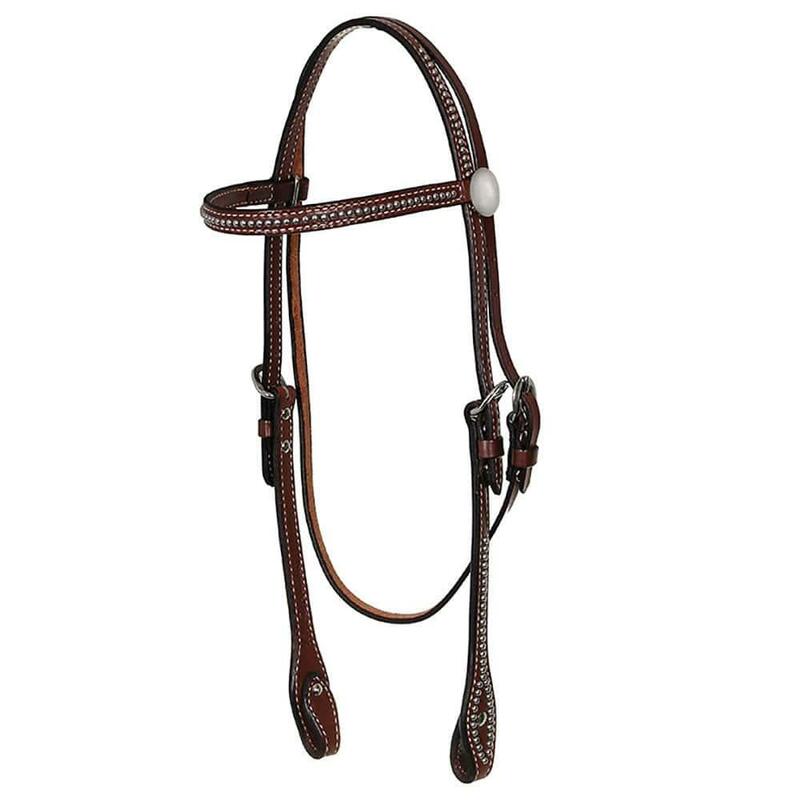 Teardrop style bit ends with Chicago Screws and Conchos at browband. Stainless steel hardware, fully adjustable for perfect fit. Hot Oil finish.